Harry Fairclough sponsors local Pannal Tigers! As part of our commitment to supporting the areas in which our sites are based we have agreed to be the official kit sponsors of local Harrogate under 9’s football team, Pannal Tigers. Here are the boys looking very smart in their brand new kits, featuring our company logo and celebrating their first win of the season. The team had their first games on Sunday (25th September 2016) and were commended by their coaches for their teamwork and determination.Well done Tigers! Harry Fairclough’s Yorkshire site team has been part of the Harrogate community for almost 12 months now and whilst building Harrogate Borough Council’s new civic centre on budget and on time is our number one priority, we have also managed to get out about in the local community, building partnerships and creating employment and training opportunities for local businesses. Engaging local businesses, contributing to the local economy and recruiting a local workforce is an important priority for our Yorkshire site team and at the outset of the project we agreed with Harrogate Borough Council that we would achieve a local labour target of at least 75%. We are very pleased to announce that we have exceeded this target and that 95% of the contractors working on-site, including scaffolders, demolition experts, tree specialists, civil engineers, ground and steelworkers are all from within the local (North Yorkshire and Leeds City Region) area. The provision of training on-site is an important element of all construction projects that we work on and so far on-site at Harrogate we have provided over 200 weeks of training to the project team. We are continuing to promote trade apprenticeships for young people and all of our sub-contractors are encouraged to bring apprentices to site to be a part of this exciting and important build. 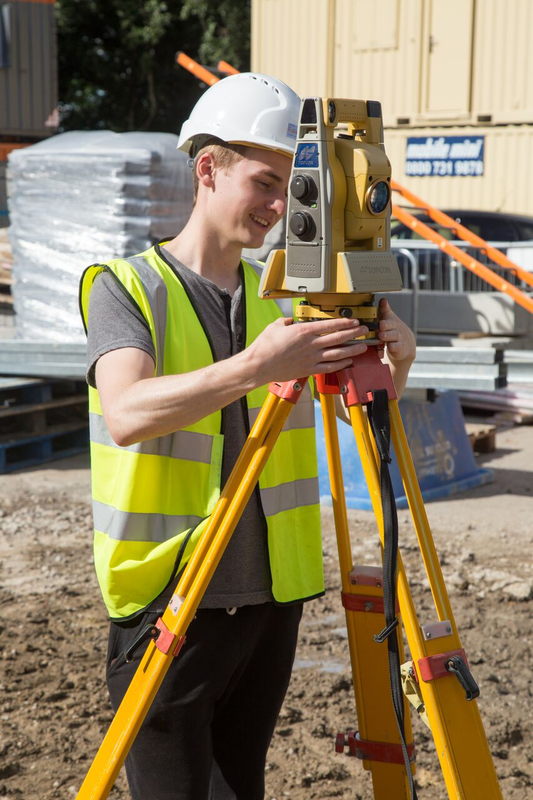 As part of our ongoing commitment to promoting careers in construction, we have also employed a local work experience student Richard Haldane on an eight week placement to support his civil engineering studies at university. Read more about Richard here. 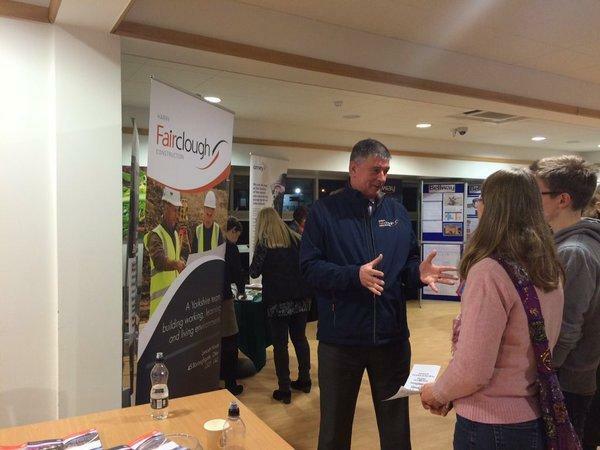 Getting local schools and colleges involved in the project is a key part of our community relations plan and we have already visited a number of local schools to deliver health and safety presentations, careers talks and have attended careers fairs to promote careers in construction to the next generation. Our ‘experience construction’ partnership with Harrogate College gives local brickwork, joinery and electrical students the opportunity to get involved in the many aspects of the construction of this important building in the district, giving them the chance to experience first-hand what goes into the building process on a project of this scale. When the landscaping works begin later this year and early next we will be inviting local school children to site to carry out planting works, putting their own stamp on the outside space. We also recently launched the ‘Harrogate Civic Centre Student Artwork Competition’ giving GCSE and A Level art and photography students in the Harrogate district the opportunity to make a lasting mark on the finished building. Find out more about how to register your school here. If you would like any further information about how your business, school or college can get involved in the Harrogate Borough Council Civic Centre build please get in touch, comment on our blog or email us via our contact us page.